For about two weeks last September, many people thought Facebook was going to have a real contender in Ello. The new social media site launched for beta testing in March 2014 but had trouble gaining traction until six months later. During Ello’s peak time, it reported receiving 31,000 requests per hour. Invites were being sold on eBay for hundreds of dollars. After an announcement last October concerning the company raising $ 5.5 million in venture capital, the site saw a small spike of search traffic. That traffic has now dipped drastically. And now, in my opinion, Ello is dead. You may think I’m too harsh and calling Ello’s death too early. After all, Ello announced changes in the works. The team has been adding new features and is set to release its app in mid-May. I could be wrong… Maybe Ello will gain a resurgence after it finally launches all its features. If this is the case, good for them. However, I believe that the company has gone about the social network process the wrong way. Ello made crucial mistakes in the beginning, and those have cost it users in the now. In general, the site was launched too early for beta testing. I remember the buzz surrounding Ello a year ago; people were excited about the prospect of an anti-Facebook. I was, too, and signed up for an invitation. Finally, this past January, I got my email to join. By then, I had graduated college, found a job, and been invited through a coworker. My interest in the site had waned as I had to wait for forever to join. We are a fast-paced society and having to wait months to join a social media site seems excessive even to those of us with patience. Since the beginning, the site has felt like it is missing key features. Only recently has the ability to upload videos (from Vimeo, YouTube, etc.) or link to SoundCloud files come into play. It’s a feature you think would’ve been integrated before testing opened. The point of beta typically is to work out the kinks. For Ello, it has been more to add features that would have been intuitive since the beginning. When Ello launched in beta, the site gained almost too much traction for the brand. People expected the site to be done when they logged on. However, the site felt like a broken interface, and I experienced several glitches during my time on the site. Most glitches have been fixed, but a bad user experience usually deters people from returning. Searching for friends would be deemed a key feature on most social platforms. Ello has had problems with this idea as users are allowed the chance to decide not to put their full name in their profile. To add a friend who hasn’t listed their full name, a person must search for that person via his or her username. Unless the ability to connect multiple social profiles or search for friends through other means is added, this is going to be a hard selling point for many people. Another problems of the Ello early launch is that the site is still lacking a mobile app. If you’re going to launch a social media platform, you need to have an app from the get-go. News has come out that one should be out in mid-May. The screenshots of Ello’s app look promising… but it has taken too long to launch. A recent study from the mobile analytics company Flurry states that mobile users spend about 86% of their time in apps. Creating a big buzz around Ello but failing to deliver an app for it was a crucial mistake. 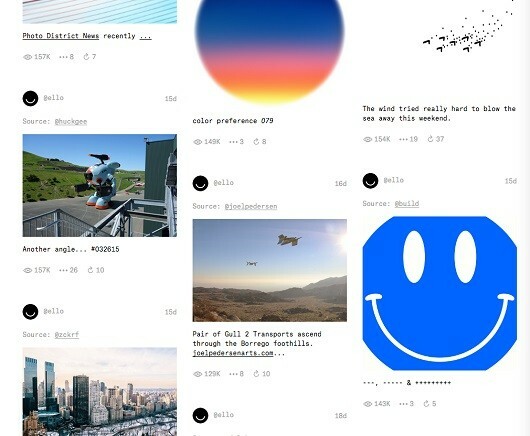 With so many social media networks to choose from, Ello needed to differentiate itself from the pack to achieve its goal of reaching the public. As my college marketing professor said, “Differentiate or die”—a lesson Ello should have taken to heart. Being the “ad-free Facebook” is a noble goal, but it’s not enough to set Ello apart. The ultimate offering of content delivered on the site is the same old content that you would see on your normal Facebook feed (if all your Facebook friends were on Ello). What is the value proposition of using the site? Not much other than a lack of ads (and I feel like we’ve already grown immune to most Facebook ads). A further problem is Ello’s failure to deliver on some of its promises. Ello asks to be known for its simplicity, beauty, and ad-free quality. However, the first two negate themselves. Sure, the site is incredibly simple. (At some points, I felt like I was typing into a MS-DOS system with the use of its main Courier font.) But this simplicity has led to the demise of its beauty. The difficulty to differentiate between posts due to lack of a box or any coloring around each one makes looking at your feed or noise seem like an endless sea of confusion. I would also argue that its risqué NSFW and WTF common verbiage deters from any professional feelings or beauty I might have had for a company. Receiving an email titled, “NSFW month on Ello” to my work email was not something I signed up for. The promotion for freedom of speech and lack of censorship is a nice idea, but it’s depreciating Ello’s brand image at the same time. That type of language is not something that is going to reach the masses and definitely not what makes a platform to take down Facebook. Although I admire Ello’s commitment to no ads, I don’t believe it’s sustainable. You’re going to see ads regardless through embedded media (that is unless you turn off all embedded media posts). YouTube ads can still play before videos or people can upload their own through the photo feature. The company has registered as Public Benefits Corporation meaning it has to abide by its charter rules. One of which is that Ello will never make money from selling ads or user data. Its main idea is to make money though the widgets and add-ons; however, considering how long it has taken them to add a couple features, I see Ello running out of venture capital before this comes to fruition. I wish in this section I could even compare Ello and Facebook as David vs. Goliath, but Ello isn’t even on the same level. It has already been crushed under the mighty heel of Facebook. 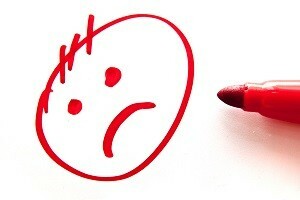 The design and intended use are too similar to Facebook due to its failure to differentiate. Users on the giant will not migrate because all their friends and contacts are already on their current Facebook profiles. Moreover, nobody enjoys posting the same things on multiple platforms. I see Ello being used mostly by artists and designers since it has sought to appeal to this niche. It would make a great place to showcase work, but there are already several other sites doing this job, such as Behance, DeviantArt, and Dribbble. Ello might be a great place for artists and creative types to network and share their art—but that is not what the average Facebook user is looking for. Seeking to derail Facebook and create a powerful platform means reaching more of the casual users. That is something that Ello hasn’t been able to do and judging from its current performance, it isn’t going to do any time soon. In the world of social media, Ello is already dead, and unfortunately, its founders and investors have yet to realize it.